These larger, 47cl glasses are formed of Lead-free Crystal Glass and are just perfect for tasting red wine! 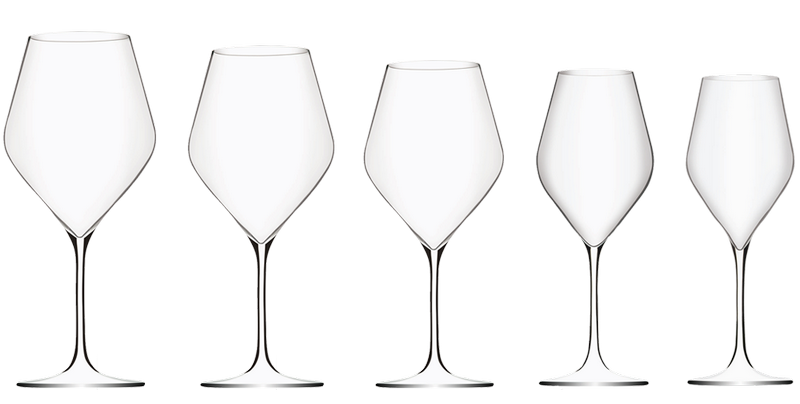 A number of influential wine tasters were looking to taste Champagne in an original way; they wanted to taste it from a glass with a shape similar to that of a wine glass, yet one which retained the pointed base for optimal effervescence. This led to the creation of the original Absolus glass, since which time, the collection has expanded to include all wines: still and sparkling.